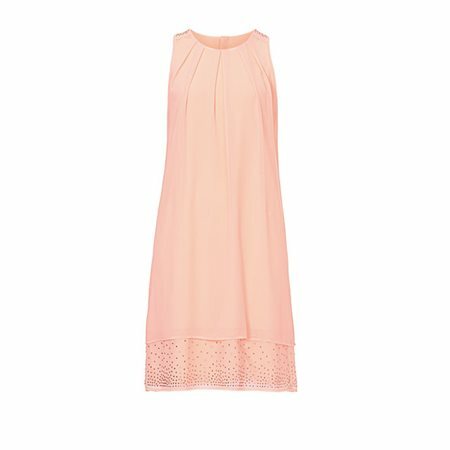 Vera Mont figure-flattering dress is presented in a beautiful soft peach hue. The chiffon dress has two light-weight layers and the hem of the dress is beautifully decorated with striking sequin detailing. The dress has a round neckline which is also finished with sequin detailing along the edge. The soft, flowing nature of the dress combines with the subtle detailing of the dress to create something that will carry you to your special occasion in style this season.